Our Duo Drum Roller is versatile and ideal for running smaller drums of cable. 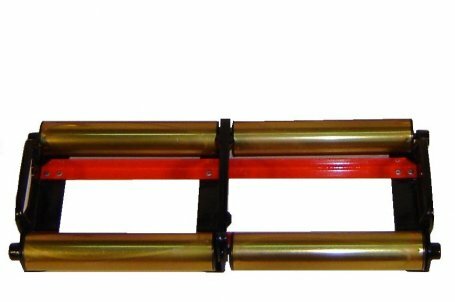 Our Duo Drum Roller is rated to hold two drums of cable up to 50kg ea, the length of the rollers are 280mm, so the total length of the two sets of roller is 590mm and the overall length of the roller with its handles is 640mm. This roller is durable and nice and compact for storage in your vehicle.